The Joomla! CMS is a powerful tool for building and maintaining web sites. Joomla! has extensive Help pages, directly available from within the CMS, but if you require further training on the basic or the expert features of Joomla, there are various on-site and online training options available. New Web Consulting provides On-site Joomla! Training in the greater Cape Town area. Support via Skype or Email is also available. Please contact us for Support and Training options. 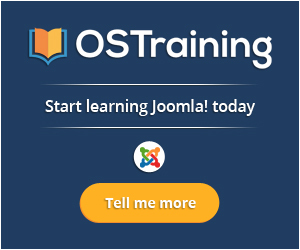 We recommend OSTraining for online training for Joomla!